Looking for a fun way to celebrate your birthday? How about heading to Catalina Island — for free? Catalina Express is celebrating the city of Avalon’s 100th birthday by providing riders with a free round-trip to the island on their birthdays. The “Free Ride on Your Birthday Promotion” runs from May 1 to April 30, 2014. The promotion was originally launched in 2011, and the company decided to keep the incentive going, since it was so successful that first year, said Elaine Vaughn, vice president of marketing and sales for Catalina Express. 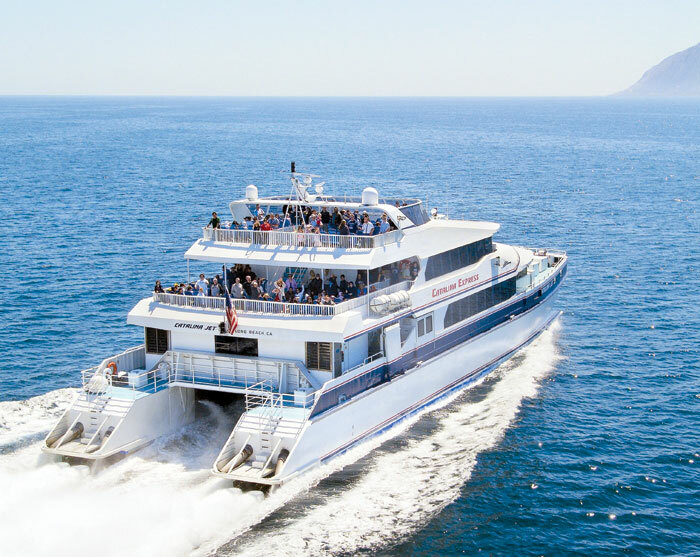 Additionally, Catalina Express has worked with companies on the island to offer visitors a range of special deals, even if it isn’t their birthday. Discounts are available on bike rentals, bowling, island tours and more. For information, visit catalinaexpress.com. To collect your “birthday present,” register online at catalinaexpress.com for the free 2013-2014 pass. Print the free pass that will be provided in an e-mail confirmation, and reserve your seat online or by calling (800) 995-4386. You will be required to enter the birthday promotion code, found on the free pass, when making your reservation. Bring the free pass and a valid I.D. (showing your birth date) to the Catalina Express ticket window on your birthday. AVALON — Island visitors just might be fortunate enough to have their birthday land on one of the days the Catalina Chamber of Commerce is hosting a weeklong celebration of the city’s 100th anniversary of incorporation. A multimedia program showcasing Catalina’s history will play at the Catalina Casino at various times throughout the week. For more information, visit catalinachamber.com/avalon100/.